The World Macedonian Congress calls on President Gjorge Ivanov to urgently inform all UN member states that the so-called Prespa agreement is null and void, given that it was not signed by the Presidents of the two countries but by Foreign Ministers Nikola Dimitrov and Nikos Kotzias. President Ivanov did not sign the ‘Prespa Agreement’ by Dimitrov – Kozias, therefore, it has not been legally ratified in accordance with the Macedonian Constitution to be part of the internal legal framework of Macedonia. World Macedonian Congress recommends President Ivanov continues to speak with the 140 Nations who have recognized Macedonia by its constitutional name for the cessation of the implementation of the Prespa Agreement, which erodes Macedonian sovereignty, WMC said in a press release. 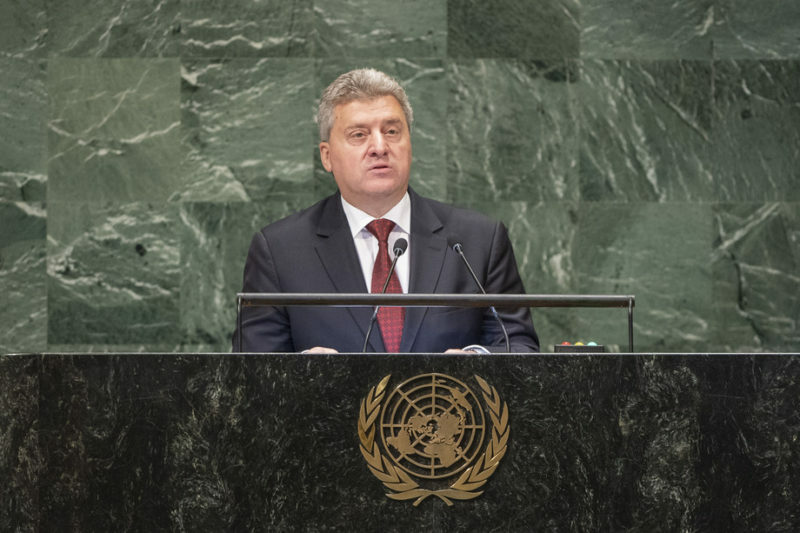 According to the organization, President Ivanov should also inform the UN that Macedonia will continue its membership in the world organization under the name Macedonia. On top of the chief articles that rename Macedonia and oblige Greece not to block Macedonia’s EU and NATO membership, the treaty also included several articles on future mutual cooperation, which was used as an excuse to allow the ministers to sign it – despite the article of the Macedonian Constitution stating that the President is the one who should sign international treaties. President Ivanov did not sign the treaty and even the ratification bill pushed through the Macedonian Parliament by means of blackmail and threats against members of Parliament who were charged or detained, was not signed by the President, but by the Speaker Talat Xhaferi. As the Macedonian Government began a process to rename the public institutions into institutions of the “Republic of North Macedonia”, WMC also calls on the President to reject this. The World Macedonian Congress suggests the President keep the current signage which is placed in front of his residence and remain the ‘President of the Republic of Macedonia’. We suggest the President NOT accept any new signage with the words, ‘President of North Macedonia’. Under the current Macedonian Constitution, the President has the power to appoint two Constitutional Judges, three members of the Judicial Council and three members of the Security Council, the WMC suggest the President immediately initiate a procedure to dismiss the current appointed personnel who support ‘North Macedonia’ and replace them with new and uncompromised independent people, WMC calls on President Ivanov.